Sleep Well Pillows - Pillows for a good night's sleep! Not getting enough sleep? Do you feel groggy when waking up in the morning? If sleep problems persist, it can lead to many health problems i.e. obesity, depression, neck aches, and etc. Many factors may be in play to why individuals do not sleep well but one factor that some fail to consider is their pillow. It is no secret that the right kind of pillow can help as long as it is the right one for your type. As a rule of thumb, a pillow should fill the gap between the lower part of your head and neck. It should also be able to mold to different sleeping positions. The best way to find out if your pillow is right for you is to determine your sleeping style. Meaning, you need to determine if you sleep sideways on your stomach, or on your back, or all of the above. So What kind of Pillows are Available? Before you choose which kind you need, the first step is to determine your sleeping style! What kind of pillow do I need if I sleep on my back? If you sleep on your back, it is recommended that you have a pillow that is not too “high”. Meaning, it is recommended to get a pillow that is thin. You do not want your head thrown far too forward when you sleep. It would be ideal if your head is slightly elevated from the mattress. Most ideal types of pillow would be latex, down, and cotton pillows. Additionally, there are S-shaped pillows that really help aid the neck. What if I sleep on my stomach? If you sleep on your stomach, you probably don’t need a pillow as a pillow can disrupt airway and breathing. However, if you think that you need a pillow, you might need one or two; You will need one for your head and another for your stomach to reduce the chances of getting lower back pain. To add to this, the types you need could either be down or soft cotton pillows as they would be ideal stomach sleepers. What if I’m a Side Sleeper? 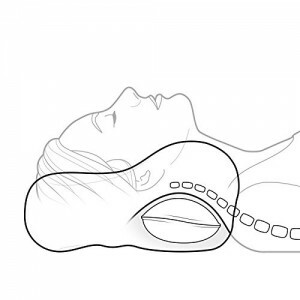 If you sleep in the fetal position, your shoulders become a problem for your neck. Therefore, if you sleep on your side, try to get a puffy pillow to fill the open position from your ear to your shoulder. Down or a really dense type of pillow (foam or latex) would benefit side sleepers. There are positional pillows for these kinds of individuals. These can be very helpful for they are flexible and comfortable. However, if you choose to get one, make sure you get one that complements your body size. A good memory foam pillow can also be another solution for people who have various sleeping positions. 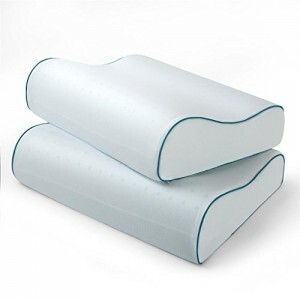 Memory foam pillows dynamically change and align with your head, neck, and back. Memory foam also reduces pressure points that may interfere with your blow flow so that is another major benefit with foam pillows. However, they can be really uncomfortable during the hot seasons as the foam materials tend to insulate heat. Remember, sleep is an important daily ritual for healthy living. Many external factors can contribute to not getting enough rest so start with getting the right type of pillow for your sleeping style and health!